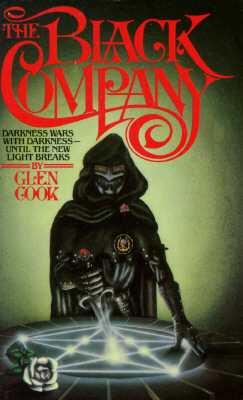 Just as Zelazny’s Amber series was important to me in my younger days, Glen Cook’s Black Company series opened my eyes as an adult. Having just left the military at the time I acquired this book, The Black Company struck a chord with me on a metaphysical level that no other book could. The new wave of gritty fiction that has encompassed the industry, from Lynch and Abercrombie to Erikson, owes at least some of its origins to Cook’s best-known work, and Erikson readily admits how influential it was. In the Black Company, we follow a story told through the eyes of the Annalist and Medic, Croaker. The name and position of this main character immediately informs you as to what kind of sarcastic wit Cook possesses…did Croaker get his name because he talks a lot? Or is it because soldiers die in spite of his efforts as a medic? Or both? It’s brilliant and hilarious at the same time. The Black Company, as an organization, has been around a long time. One of the Free Companies of Khatovar (and also the last), it is a mercenary faction that takes jobs and sees them through. They are not always on the winning side, and their numbers have fluctuated over the years (the outfit is several centuries old), but there is an honorable aspect to the Company. Not neccesarily in deeds, mind you, but rather in commitment. Those who join the Company are expected to fall in line with this ideal – a person’s past is irrelevant, only their dedication to the Company matters. As a veteran myself, the cast of characters and their actions ring with authenticity. Each character is fleshed out in the form of their speech and further defined by their actions. Since the story is told first-person by Croaker, this method of characterization works well, though we often wonder what some characters are thinking about since we only have Croaker’s thoughts to listen to. Cook makes you care about these people, which is dangerous – as a mercenary outfit, becoming too attached to character is heartbreaking when they don’t make it. There’s always another soldier waiting to step in, however. The true gem of the story revolves around two characters: One-Eye and Goblin. As the two most powerful sorcerers in the Company, their role is important. As you soon find out, there is something of a competition between them. It’s a cross between trying to one up each other, and playing practical jokes on each other. The interactions between Goblin and One-Eye deliver some of the most hilarious scenes you will find in fantasy fiction. Where some authors struggle when attempting to pull off humor, Cook delivers effortlessly. He could have written stand-alone books just about the two sorcerers, much in the way Erikson writes short stories about Bauchelain and Korbal Broach, and I would have been ecstatic. In this particular story, The Black Company is serving the Syndic of the city of Beryl, until the city starts to collapse in chaos and an ancient evil is unleashed. The Company ends up finding a loophole in its contract that lets them escape the chaos, and is then approached by a strange being that wishes to hire them. Only later does the Company realize they now work for the Lady, who is feared as evil incarnate and a powerful sorceress. Marching orders are given to the Company from The Ten Who Were Taken (or the Taken for short), a group of sorcerers twisted into psychotic beings by Lady’s evil dead husband, The Dominator, and who now work for Lady. These orders involve stamping out a rebel group led by the mysterious Whisper. The rebels are fighting Lady’s forces while trying to find The White Rose, a child prophecied to defeat Lady. I’ll not give away any more spoilers than that. Cook’s writing is quick, similar in a way to Zelazny’s, with lots of action and quick wit. Descriptions are just enough to get the job done, but at times feel inadequate to give the reader a good image of surroundings and descriptive detail – kind of like the anti-Robert Jordan. Still, if you’ve got an active imagination, you’ll have no problem following along. In addition to the One-Eye vs. Goblin competition, you get lots of banter between the Company members, something Erikson tries for in the Malazan series but falls short in comparison…that’s not a slight against Erikson…Cook is simply an absolute master at this style of writing. It’s brilliant and engaging. In conclusion, I highly recommend The Black Company. It captures the feel of a medieval mercenary group perfectly, and makes me wish that I had thought of it. The best part is that this is the first in what eventually stretches out into 10 books. Sadly, Cook has not written a Black Company novel since 1999’s Water Sleeps. This first book, however, contains all the hooks necessary to draw you in to the series. You can also find it as part of the omnibus edition Chronicles of the Black Company (which actually contains the first three books of the series). Posted on September 11, 2012 January 10, 2018 by hippogriffPosted in Book Review, Classic ReviewsTagged black company, glen cook, Reviews. I read Black Company after reading Joe Abercrombie, and could definitely spot Cook’s influence. But to be honest, I largely prefer Abercrombie. I often wonder if people who read in the opposite order feel the opposite way. What’s your take? It’s certainly possible. I haven’t read Abercrombie, some of the reviews I’ve read have me thinking I won’t like it. Oooh, I just saw you put the reading time in each review. That’s such a great idea! I suspect I’m a much slower reader than you are but it’s nice to have some sort of a guide. Page counts can be so misleading. The Black Company (in its entirety) is still sleeping on my TBR pile but, man, this review makes me want to dig those books up and put them at the top of my queue. 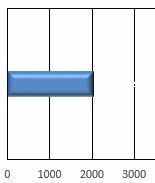 I agree that page counts are misleading…some books use larger fonts or larger margins that lead to faster page turns. Also a writer’s style can certainly influence how fast or slow a reading will go. And of course people read at different speeds. I guess it’s more of a comparative guideline for one of my reviews against my other reviews.